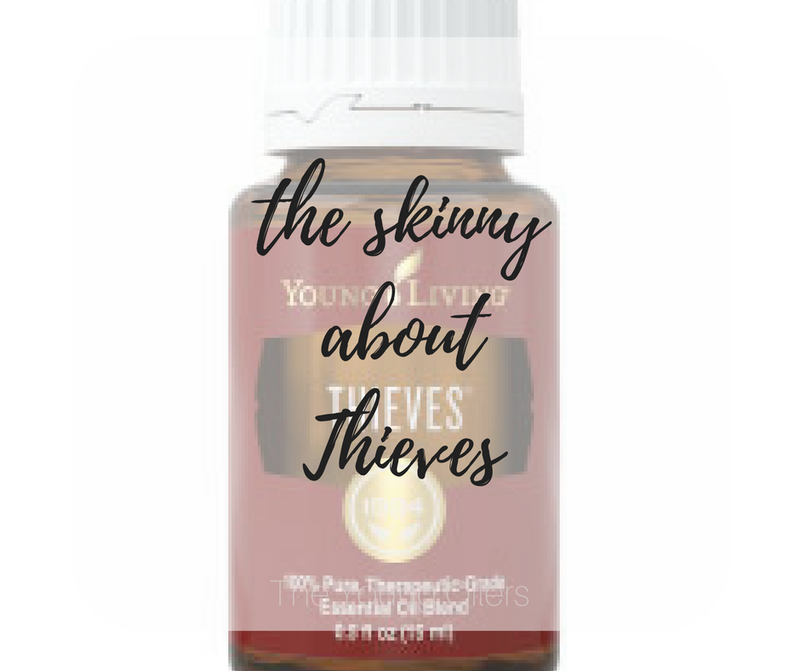 Thieves essential oil blend was inspired by the legend of 4 thieves who formulated a combination of Clove, Rosemary, Cinnamon, Eucalyptus and Lemon they used while stealing from the dead during the plague. Tested for its cleansing abilities, Thieves is highly effective in supporting the immune system & good health. * Thieves Foaming Hand Soap: Thieves foaming hand soap will cleanse and defend your skin thanks to the essential oil blend. With pure orange and lemon essential oils, ginkgo biloba and vitamin E, it contains gentle ingredients so it can be used often without drying your skin. We have this in every bathroom. It is the best! People always ask about it when they come over. * Thieves Waterless Hand Purifier: Thieves waterless Hand Purifier is an all-natural hand purifier designed to cleanse and refresh your hands. It can be used by children & adults alike to keep hands clean and promote goody hygiene, without the use of water. * Thieves Spray: Thieves Spray is ideal for use whenever you have to touch something: door handles, toilet seats, shopping carts. It’s powerful enough to protect us from dust, mold, and nasty little micro-organisms. It is ideal for traveling or keeping in your purse or backpack. Also... sometimes we challenge the Happy Oiler husbands to see how many sprays they can do in their mouths (yep, it's that safe). We have video. IT'S THE BEST. I think the reigning champ did 30? * Thieves Aromabright Toothpaste: Thieves Toothpaste is made with pure, all-natural ingredients, including the essential oil blend. It’s safe and effective formula provides an awesome support for healthy gums, strong teeth and a great smile. * Thieves Mouthwash: Thieves Mouthwash contains the formulation of essential oils that provides fresh breath. The unique liposome technology binds the essential oils to the mucous membrane inside the mouth for longer-lasting effects on teeth and gums. * Thieves Dish Soap: With naturally derived ingredients, Thieves® Dish Soap effectively cleans your dishes without chemicals, dyes, or synthetics. Young Living pure essential oils—Thieves®, Jade Lemon™, and Bergamot—work with other plant-based ingredients to leave your dishes sparkling clean. * Thieves Lozenges: Lightly-sweetened Thieves hard lozenges refresh your breath and provide soothing relief to sore throats. * Thieves Laundry Soap: With a plant-based formula, Thieves Laundry Soap gently and naturally washes your clothes, leaving them truly clean without any chemical or synthetic residue. Natural enzymes and powerful essential oils add to the formula’s strength to leave your clothes fresh and clean with a light citrus scent. Thieves Laundry Soap can be used in all washers, including high-efficiency, and its highly concentrated formula (6X) will provide around 64 loads with just 32 fl. Oz (946 ml).